I met Marvin, the owner of Monroe Knows, at Plus North this year. He was really keen to talk to bloggers and customers about what they were looking for in a dress line, which styles appealed to them and what fabrics and patterns were of interest. We chatted for a while and we exchanged business cards. Last week Marvin contacted me to let me know the range had launched and asked if I'd like to review a dress for the blog. I decided on what I'd call a winter maxi. The Leigh maxi is a longer sleeve dress in a heavier fabric than one you'd wear for summer. I've wanted to incorporate something like this into my wardrobe for a while now, so I thought this would be perfect. I received the dress last week, wrapped in the most beautiful box and tissue paper, it turns out they'd just got another colour-way in the dress and had really generously sent me that one too, I am most definitely a very a lucky girl. 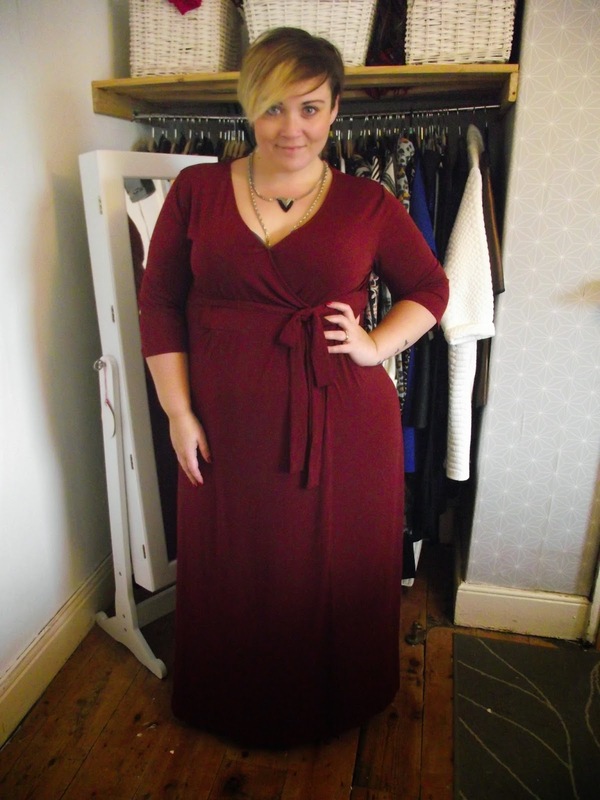 This deep claret red is just so lush and seasonal, I think I might even rock it on Christmas day, its so comfortable and soft, but the heavy fabric feels so substantial and luxurious. I'm wearing the 22 and it's true to size, if you prefer a tight fit I think there might be room to size down but for me this is just perfect. The sleeves fit nicely on my arms and the skirt skims my hips. 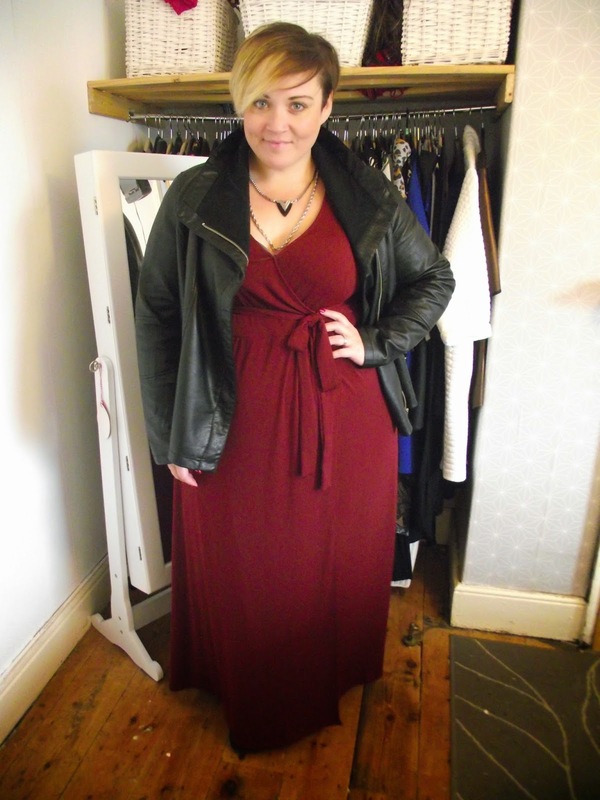 These dresses are so versatile, you can dress them down with biker boots and a jacket or a long cardigan like I have below, or you can go full on glam like I have with the black version. I layered up the jewellery and added heels with the black dress, it's such a great base to work from and the slinky slit gives it a little vava-voom! With both dresses I did pop a little pin in the crossover for modesty, but you could pop a lacy cami underneath, or wear a fabulous bra and showcase those bad boys! The collection is modest at the moment with great shapes and staple colours. I'm excited to see where they go from here and how the collection will grow. Such a nice design and colours, looks really nice on you! Great designs - and they'd be great to transition from winter to those open air evening when summer dresses just aren't quite warm enough! Lovely dresses both look great on you. A very useful style for any woman's wardrobe and how classy is that packaging! !